Today I was delighted and privileged to have a friend visit Moors Wood. who is one of my composting and zero waste heros. John Cossham is well known in low carbon/zero waste/composting/sustainability fields as an absolute champion waste reducer. He has appeared on TV, radio and in print and is an excellent example of how we could all reduce our carbon footprint on this planet. After a rather long time ( much longer than I anticipated!) I am now restored to health and Moors Wood is back in action. Sarah works as a self employed Environmental Educator and Forest School Practitioner. She has worked as a Play Ranger for her local Wildlife Trust and as an environmental educator on a supply basis at a local Environment Centre. Sarah is a trained RSPB Wildlife Explorers group leader and has lead highly successful after school eco/gardening clubs with several local schools. In addition Sarah offers workshops in making craft items from natural or recycled materials and provides training for adults in various Forest School type activities. Sarah is also a Level 1 Archery Coach. Sarah has extensive woodcraft skills and experience gained from owning and managing a small private woodland, which contains a Forest School site and is a source of sustainable wood products. She has a long-standing love of the natural world and possesses an excellent working knowledge of native flora and fauna. Sarah is a First Aider with extra outdoor working, epi-pen and paediatric first aid qualifications. She also has Food Hygiene, Health and Safety, Risk Assessment and Fire Marshal training. Before taking a career break to have a child, Sarah worked as a self employed holistic therapist and organic produce grower but has also in the past run her own business as an environmental advisor, researcher and advocate. She had a previous lengthy career as a research scientist and project manager in a Government establishment and is a highly qualified, experienced and articulate graduate engineer. Sarah was a finalist in the 2007 and 2009 CIWM Annual Awards in the “Individual Recycling Champion” category as well as a finalist in the Garden Organic “Master Composter of the Year” 2008 and 2009 awards. 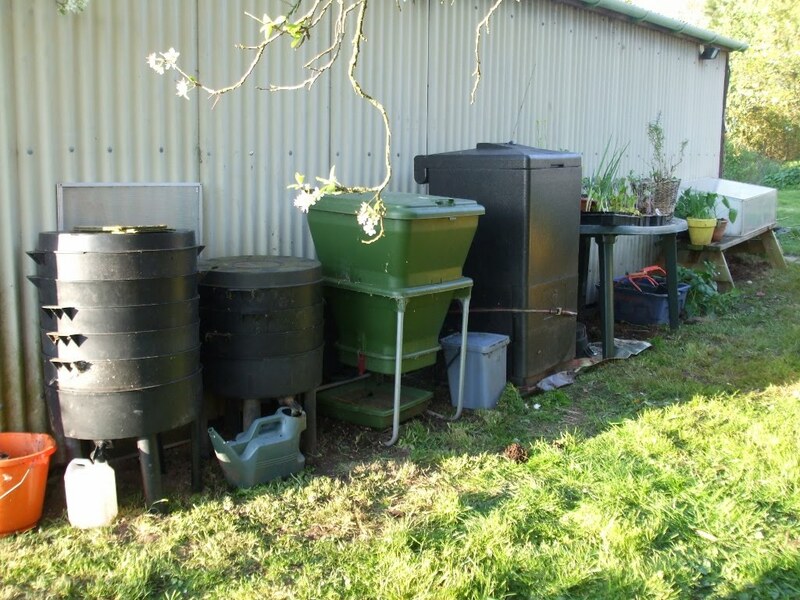 She also won the Garden Organic Master Composter "Social Media Innovation award" in 2012. 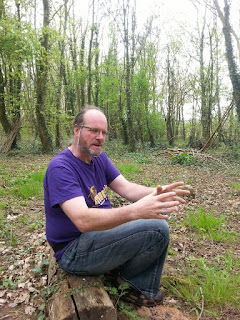 April 2009 Forest School Practitioner OCN Level 3. July 2000 IIHHT Diplomas, Aromatherapy, Indian Head Massage and Body Massage. July 1986 HNC Electronic Engineering, Worcester Technical College. July 1984 ONC Electronic Engineering, Worcester Technical College. July 1978 GCE “O” levels, Worcester Girls Grammar School. 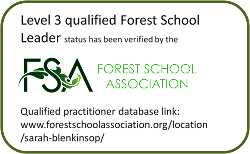 June 2017 First aid for Forest Schools (inc Paediatric.) (Renewal) Anubis Training. May 2017 FAW course/Epi pen use/AED use (Renewal) Anubis Training. Nov 2016 Fundamentals of Food Hygiene (outdoors) Level 2 Certificate, CIEH, Anubis Training. Mar 2015 Safeguarding training, Sports Coach UK. May 2014 FAW course/Epi pen use/AED use (Renewal) Anubis Training. May 2014 First aid for Forest Schools/Paediatric. (Renewal) Anubis Training. Nov 2013 Fundamentals of Food Hygiene (outdoors) Level 2 Certificate, CIEH, Anubis Training. June 2011 FAW course (Renewal) Anubis Training. Mar 2011 Master Gardener. Garden Organic accredited course. Oct 2010 Diversity training, HCC course. May 2010 Health and Safety Level 2 Certificate, CIEH, Anubis Training. April 2010 Safeguarding training, HCC course. Oct 2009 Disability Equality training, HCC course. Sept 2009 "Playing on the Range" Playworker Level 2 Certificate, Uni of Gloucs. Oct 2009 Fundamentals of Food Hygiene Level 2 Certificate, RSPH PCT Training, Rotherwas. June 2009 Food Champion training with WRAP. April 2009 Food For Life Partnership training with Garden Organic. Sept 2008 FAW course/Epi pen use, Anubis Training. Nov 2007 Introduction to Forest School OCN Level 1 Certificate, Cambium Training. April 2007 Paediatric First Aid/Epi pen use. Anubis Training. April 2007 RSPB Wildlife Explorers Club Leader, RSPB HQ. Jan - June 2007 Playwork NVQ Level 3 training Herefordshire PCT. April 2006 Master Composter. Garden Organic/CIWM accredited course/cert.  Highly skilled in providing both practical and theoretical environmental/sustainability/gardening/smallholding information tailored to the age range of the target audience/workshop/class/group, in an engaging, amusing, playful and informative way.  Demonstrates very high practical, academic and professional abilities and knowledge in a very wide range of fields.  Is a good communicator with very effective presentation and report writing abilities. Has had much one-to-one contact with the general public in a variety of environments.  Is an experienced speaker, well used to organising and chairing large and small public meetings, holding workshops and training courses, presenting evidence at Public Inquiries, dealing with the media, giving live and recorded TV and Radio interviews and writing press releases.